Your chance to stock up on Sinnoh Stones is coming soon. 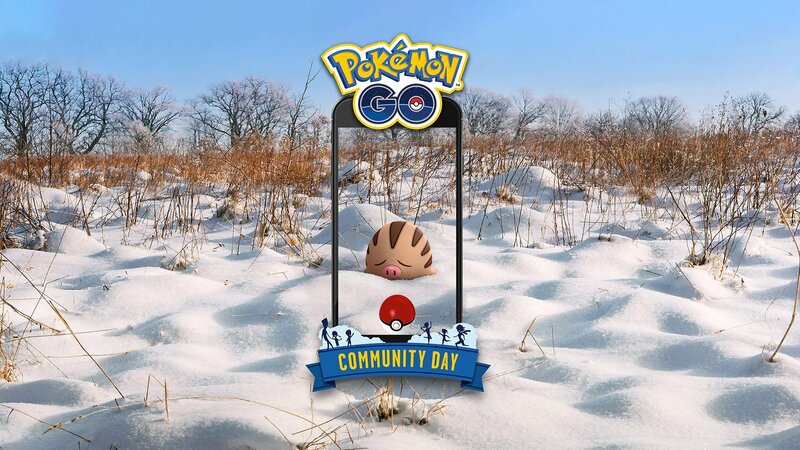 February’s Pokemon Go Community Day takes place on Saturday, February 16. This month’s event features the Ice- and Ground-type Pokemon Swinub, which will appear more frequently in the wild from 2 p.m. ET to 5 p.m. ET on that day. Swinub is a Generation II Pokemon, which was first seen in the Pokemon Gold and Silver video games released on Game Boy Color in 2000 in North America. It has two evolutions -- Pilowswine and Mamoswine -- but only Pilowswine is currently available. Mamoswine (a Gen IV Pokemon) is being added to the game as part of this Community Day event. Specifically, players will be able to use an evolution item called a Sinnoh Stone to evolve Piloswine into Mamoswine. If they perform this evolution during the three-hour Community Day window (or during the hour immediately following it), the Mamoswine will know the exclusive battle move Ancient Power. As a reminder, Sinnoh Stones are the game’s newest evolution items, which were introduced as part of the slow Gen IV Pokemon rollout. As reported by GamesRadar, Sinnoh Stones can (normally) only be earned at random in two ways: by competing in Pokemon battles, and as a 7-day Field Research reward. For February Community Day, players will have the chance to stock up on Sinnoh Stones, as the game will allow players to earn up to 10 on Community Day itself -- five from competing in Trainer Battles against other real players, and five from competing in practice battles against the game’s Team Leaders. In addition, throughout the entire Community Day weekend (February 16 - 17), players will be able to receive five rewards each day by competing in Trainer Battles, rather than the typical limit of three. In addition to Sinnoh Stones, battles may reward players with things like Stardust and Rare Candies, and players receive a reward whether they win or lose. Finally, during the three-hour Community Day event, players will earn three times the normal amount of Stardust when they capture Pokemon. Lure Modules will also remain active for three hours when activated during this event, rather than the standard 30 minutes. One extra thing to keep in mind: You’ll likely have the chance to encounter a Shiny version of Swinub during this event. Mark your calendars to make sure you don’t miss out!